Have you ever wondered how to carry 10 bottles of your favorite drink? I’m talking 10 750 ml bottles of pure party. 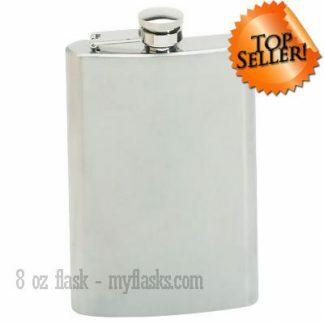 This 2 gallon (yeah, 256 ounces) stainless steel flask can even carry enough water to keep you hydrated for a full day! Talk about emergency preparedness. Brushed metal finish with polished, stainless steel top and bottom and a screw down cap. Comes in a retail box. Measures 17″ x 9-1/2″ x 3″. Limited lifetime warranty. WARNING! If you fill this sucker up, you might need a back brace after carrying it around.